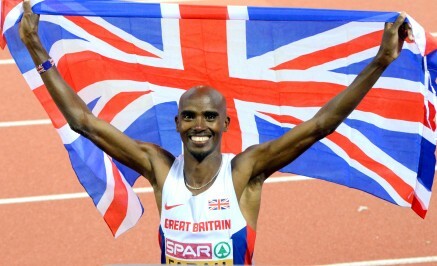 21st February 2015 – Currently holding two Olympic, two World and two European titles, Mo Farah (GBR) added a World Best time to his CV with a dominant display over 2 miles at the Birmingham Indoor Grand Prix. Passing half way in 4:03.9, Mo had to run the second half of the race from the front but was up for the challenge and split a 3:59.5 second mile to take over a second off the previous record and post new figures of 8:03.40. Mo was delighted to finally get his first top global mark and thanked the home crowd for their support which helped him over the line. There was double reason for celebration too as he registered a new British Indoor 3000m record of 7:33.1 on route. Tom Lancashire (GBR) also posted two new PB’s with 7:52.2 and 8:30.79 for 3000m and 2 miles respectively. Earlier in the meeting there was an incredibly tight finish in the mens 1500m as PACE athletes Vincent Kibet (KEN) and Bethwel Birgen (KEN) battled to the finish. Bethwel led into the finishing straight but it was Vincent who was given the victory by the photo finish with both athletes timing 3:34.91. Jeremiah Mutai (KEN) showed again that he is fine form and after winning the B race 800m in Stockholm he took the A race title here in an indoor PB of 1:45.93. Shannon Rowbury (USA) fought hard to maintain her unbeaten 2015 but had to settle for second place on this occasion in the womens mile but still posted a strong time of 4:24.12 despite not feeling 100% before the race. Jordan Hasay (USA) put in a similar performance for third place in the 2 miles timing 8:50.21 and Steph Twell (GBR) was seventh in 9:03.55.